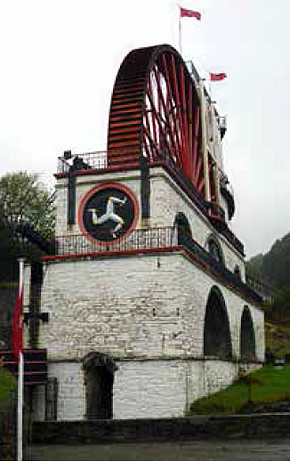 Almost 1500 years of Christian heritage punctuates the landscape of the Isle of Man. The island abounds with stories of places visited by John Wesley, people converted by him and how that faith was passed on to others. It is often difficult to separate fact from fiction in these stories, as it is with the stories told of the Celtic saints who first brought Christianity to the island over a thousand years earlier. It is a rich legacy, but not one focused in one iconic site or building. Methodist chapels spread throughout the island in the same way as had the Keeills (small earth and stone chapels) of those earlier Celtic missionaries. The numbers too were very similar. There have been about 200 of each, although not all at the same time, in an area of 227 square miles. There are now some 34 Keeills/Keeill sites where there is still something to see, and some 33 Methodist chapels still open. However, many more former Methodist buildings remain in the landscape, but converted for other uses. 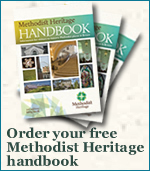 Methodism first came to the Isle of Man in 1758, when one John Murlin was diverted by a storm in the Irish Sea. Murlin was known as ‘the weeping prophet’. He is not only commemorated by a memorial plaque in Wesley’s Chapel, City Road, London, but is also buried in Wesley’s tomb! However, Murlin made very little impact on the island. Methodism did not really get established until the arrival of John Crook in 1775. Crook based himself in Peel, the main fishing port. For part of each summer Peel welcomed the herring fisheries fleet, which included many Cornish boats, and Cornwall was to become a Methodist stronghold. The first Methodist meeting place on the island was a summer house at Mount Morrison, overlooking Peel Bay and St Patrick’s Isle (home to Peel Castle and the island’s ancient, but by then ruined, Cathedral). While the summer house, which is said to have also housed smuggled goods, has been demolished, parts of the walls remain forming a corner of the garden wall to Mount Morrison. By the time of Wesley’s first visit in 1777, a chapel had been built in the town below, near the sea front in Shore Road. This building, now a youth centre, was used by Wesley both during this and a further visit in 1781. During his second visit, John Wesley when in Kirk Michael,“ stopped to look at the plain tomb-stones of those two good men, Bishop Wilson and Bishop Hildesley, whose remains are deposited, side by side, at the east end of the church”. Thomas Wilson was Bishop from 1698–1755, the longest serving Bishop in the history of the diocese. He wrote and published extensively in both English and Manx, including translating the Bible. Wilson’s son, also Thomas, was at Oxford with Wesley, and, along with him, took services for Mr Wildair, Vicar of St Aldgate’s. However, the one thing he did not like, although he did not say so in his journal, was the Manx (or in his day ‘Manks’) language. As a result of this, his hymns were not translated and printed until 1795. So far as the built heritage of Methodism is concerned, the Isle of Man has a good cross section of styles of chapel, ranging from simple country chapels to large town churches with a horseshoe gallery. Many of the 200 Methodist chapels that were built were for Primitive Methodist societies and a very few of the Methodist New Connexion. John Butcher was sent by the Bolton Circuit to mission the island for the Primitive cause. He arrived at the end of 1822 and was very successful; he had established at least 14 societies within 12 months. 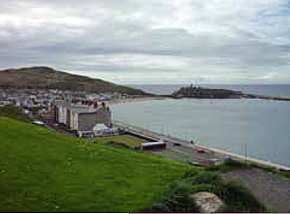 Both Hugh Bourne and William Clowes visited the Isle of Man, filling the chapels and holding camp meetings. In 1848, William Hartley was appointed Town Missioner for Douglas and was based at a floating chapel (an ex Royal Navy frigate), moored in Douglas Harbour. This was an Anglican enterprise, but developed into ‘The Bethel’ or, more properly, ‘Douglas Town and Seamen’s Mission’. Hartley died later the same year of typhus fever. He was the grandfather of Sir William Hartley, benefactor of Hartley College, Manchester, the training place of many Methodist Ministers. William is buried in the family grave of friends in the churchyard of the Anglican St George’s Church in Douglas. Close by is the grave of Nellie Brennan, a mangle woman and member of the Methodist society, who voluntarily nursed the sick and the dying during the cholera epidemic of 1832. In the middle years of the nineteenth century, the development of mines exploiting Mann’s rich seams of metal ore led to many miners (especially from the North of England and from Cornwall) moving to the island, and strengthening still further the Methodist presence. The last decade of the century, however, saw the development of rich sources of cheap ore overseas at a time when production costs were rising locally. Naturally, this led to many of both incomer and native, Manx-born miners and their families emigrating. They went (as had the agricultural emigrants of the 1820s and 30s) to all parts of the world, taking their customs and faith with them. In the 1940s the Isle of Man District made a gift of a cover for the communion table in the apse at Wesley’s Chapel, City Road. This cover carried carvings based on the Norse designs used on Celtic (wheel-headed) crosses from the island, carved during the 9th and 10th centuries. The original stones carrying these designs are now mainly housed in the parish church of the parish in which they were found. They form part of the continuing thread from the earliest years of Christianity down to the present. Set at the centre of the British Isles, yet not part of the United Kingdom, the Isle of Man has the oldest Parliament in continuous existence – Tynwald Members of the Methodist Church have played, and continue to play, a very considerable part in the Government and life of the island.